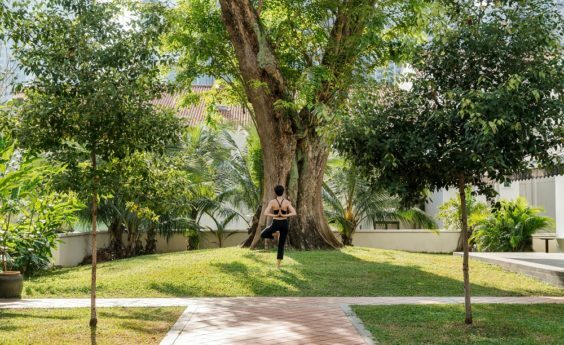 Written by The Sweat Shop // Sweat Breaks // Comments Off on Is This The Healthiest Hotel In Singapore? A celebrity designer plus an opium-themed hotel might not seem conducive to a healthy stay-cay, but that’s exactly what you’re going to get if you book into the new Six Senses Duxton by Anouska Hempel. For close to the lobby on the ground floor you’ll spy the hotel’s own TCM clinic. With a TCM professor on staff and an array of visiting practitioners you are sure to find your perfect – legal – tincture. 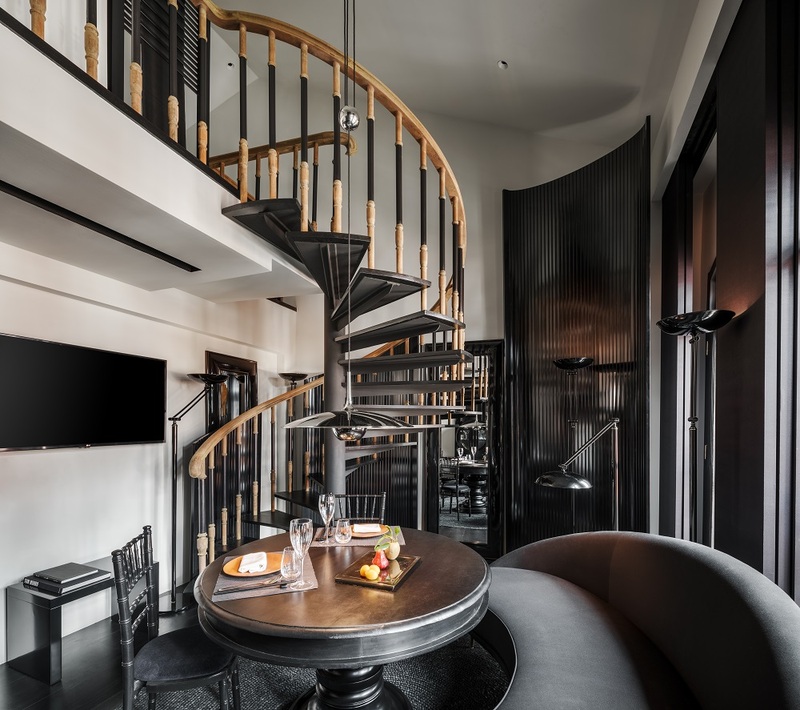 Take the stairs to your ying or yang-style heritage suite. Whether you choose a light and bright or dark and cosy suite you’ll also find that your room has been given a healthy makeover. While you may find a tipple or two in your mini bar, you’ll also find your own TCM elixir – one for morning, and one for night to help give you a boost after all that sightseeing. The welcome pack also has a healthy Six Senses twist as it features a colouring set that will help you destress, Tiger balm, a mini puzzle to test those brain cells, calming nutmeg oil and a wellness diary. Within your wellness diary you can log your moods or just pencil in a reminder that you’ve got outdoor yoga the next day on the lawn behind the hotel. If you don’t want to leave your suite, you might be pleased to know that they are also about to introduce their Sleep With Six Senses package – now there’s an excuse to stay under the duvet if ever we’ve heard one. 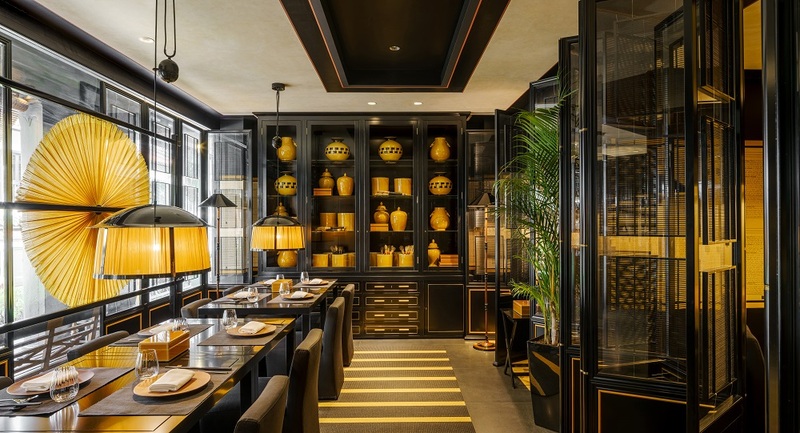 If you can tear yourself away from your suite you can book into the atmospheric Yellow Pot restaurant, which you may be surprised to find out that the chef has included some health giving TCM clinic dishes too. Six Senses Duxton is set to be joined by Six Senses Maxwell in the Fall. And what’s even more exciting is that if you stay at one hotel you can use the other’s facilities. Now that’s made us feel better already.